This first in an occasional series for albums that you may have missed but are well worth tracking down. Singer / songwriter / guitarist Oliver Hartmann was, up until the release of the CD, best known for his time in AT VANCE a German power metal act that he fronted for four albums. In 2005 he embarked on a solo career which would produce one of the best AOR / Melodic Rock albums of that year. Out In The Cold is a really superb slab of melodic rock which manages to tread the fine line of adding a few more modern production touches to a traditional classic rock sound. The basic template finds a wall of solid guitars, huge backing vocals and clever use of string arrangements alongside excellent instrumentation. You really do get the feeling that time and thought went into each track. The production, courtesy of Hartmann and Sascha Path has a nice solid meaty feel which allows room for Hartmann to shine. He is a terrific singer who also handles all the guitars and some keys. There are highlights aplenty here from the strident hard rock of opener Alive Again and the title track to the inspired choice of power ballad Brazen, originally recorded by Skunk Anansie. Brazen really is quite stunning with the passion in the vocal delivery an ideal match for the harsh lyric. Elsewhere What If I, a high tempo feel good track, with deceptively clever use of the backing vocals to drive a very catchy chorus. If you want ballads look no further than the sumptuous I Will Carry On and the epic Into The Light. While The Journey is another winner; the song has a very nice gentle cadence that compliments some of the other offerings here. In truth I could have highlighted any of the tracks here as the quality is so high. If you can track down the Japanese release of the album it has the bonus track Rescue In My Arms an acoustic ballad that would have seemed out of place on the album but is a worthy addition. 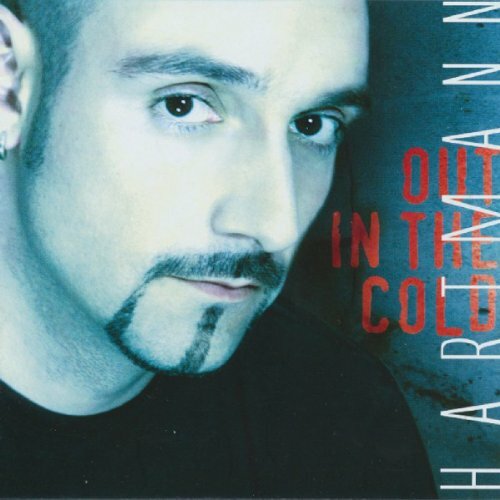 Hartmann has continued to go from strength to strength since the release of this CD with his solo career and as a member of AVANTASIA and the all-star ROCK MEETS CLASSIC alongside Ian Gillan (Deep Purple), Jimi Jamison (Survivor) and Steve Lukather (Toto).